S M Ong: Tangled by Tango: What can we learn from the gay penguins? Tangled by Tango: What can we learn from the gay penguins? 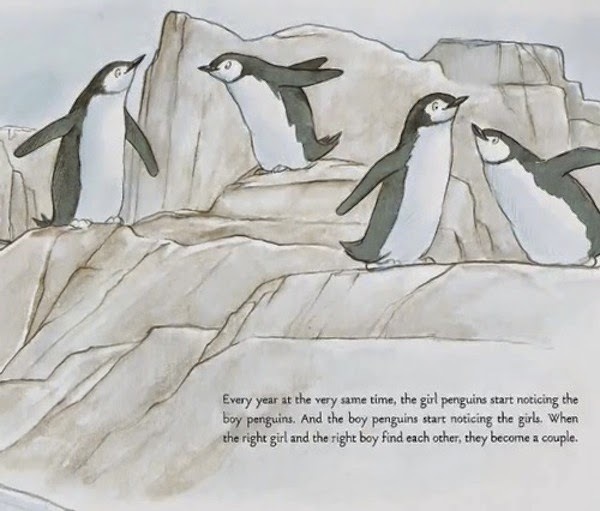 Maybe National Library Board should just call Arnold Gay to help burn the gay penguins books. Actually, they may not be gay. Since boy penguins look like girl penguins, they just can't tell which is which among themselves. That has happened to me a couple of times. 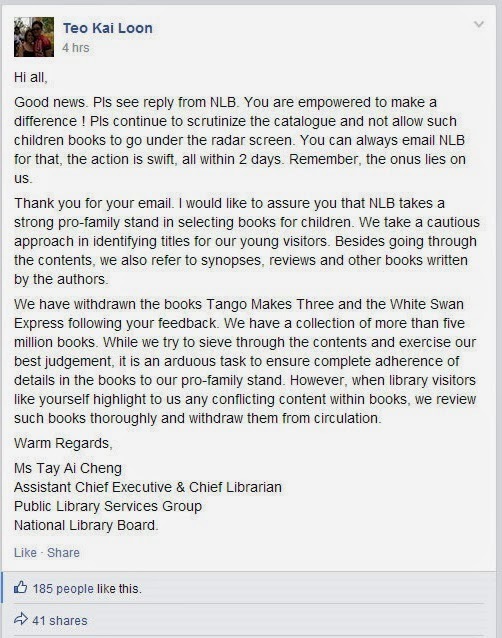 To recap, NLB withdrew three children's books, which will be pulped. In protest, a few local writers withdrew from library-related events, which will be pulped. 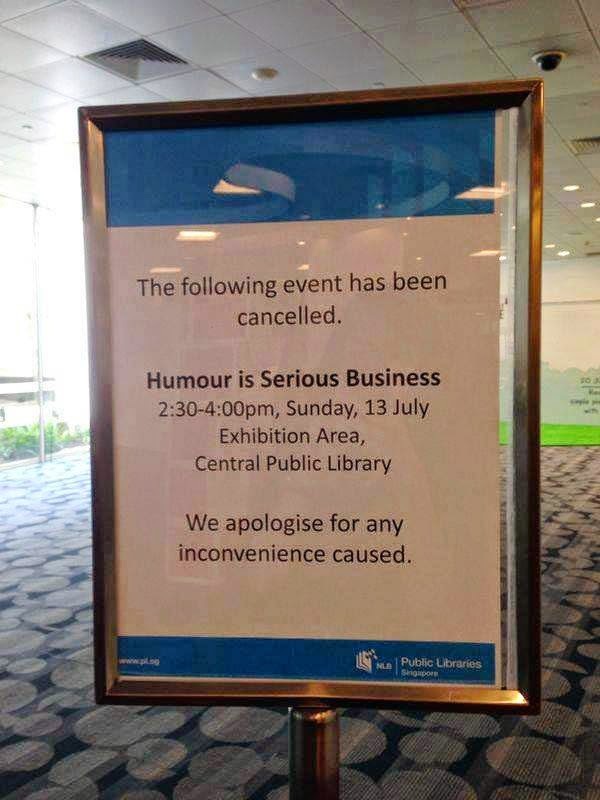 This has been a PR disaster for NLB, which is in quite a dilemma. Should it be pro-traditional family or should it be pro-not banning stuff? Either way, you're going to piss some people off. It's lose-lose. If NLB sticks to its guns (which it has done), at least no one can accuse NLB of flip-flopping. And it all started because someone named Teo Kai Loon posted this in a Facbook group called We are against Pinkdot in Singapore. The lesson here is that if you managed to get NLB to get rid of the gay penguins books, don't go bragging about it on Facebook. Someone else will screen cap your online gloat, share it on the Interwebs and cause NLB so much trouble just for doing what you asked. That's not nice, is it? Oh, what a Tango web we weave. UPDATE: NLB to reinstate two books.